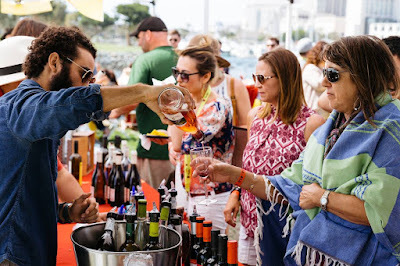 San Diego's Paella Wine & Beer Festival returns to the waterfront Embarcadero Marina Park South on Saturday, May 12, from 1-6pm for a day centered around Spain's most famous dish paired with amazing tapas, wine, local craft beer, sangria and cocktails. We are raffling off 2 tickets to this fun & delicious event, as well as offering top savings in town with promo code SDVILLE for GA passes and SDVILLEVIP for Premium & VIP tickets! One of our favorite events of the year, the San Diego Paella Wine & Beer Festival not only offers an incredible array of delicious food & drink, attendees can also expect to enjoy festive live music, jubilant dancing, fun lawn games, Flamenco performers and even celebrity appearances. 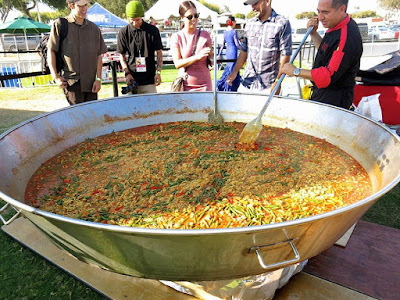 Guests will also get a chance to witness, taste and get photographs with the largest Paella ever cooked in California, which will also feed the 3,000 expected to be in attendance. 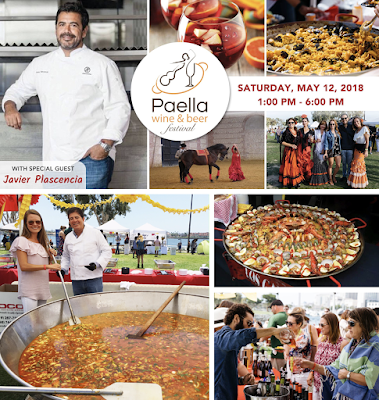 The 4th annual San Diego Paella, Wine & Beer Festival will transport attendees to Spain during this a celebration of paella - a saffron-infused rice dish that marries bold flavors and delightful textures. Combined with a variety of meats, shellfish and vegetables, paella was originally a peasant's meal cooked over an open fire in the fields and eaten directly from the pan using wooden spoons. The dish takes its name from the wide shallow pan that it is cooked in, traditionally called the paella or paellera. This year, more than 60 paella teams will compete to see who makes the best in the Cali-Baja region with local and international chefs serving unlimited samples of over 130 paella concoctions and tapas, including vegan and vegetarian options. The winning team will travel to Spain to represent California in the Sueca worldwide championship. The event will also attempt to take on the challenge of obtaining the USA record of the largest paella ever. Ticket holders will also get the chance to sample local, Spanish, and Baja-region wines, craft beers, sangria, cocktails and spirits, as well as watch and dance along to live music with Flamenco and Spanish Rock. 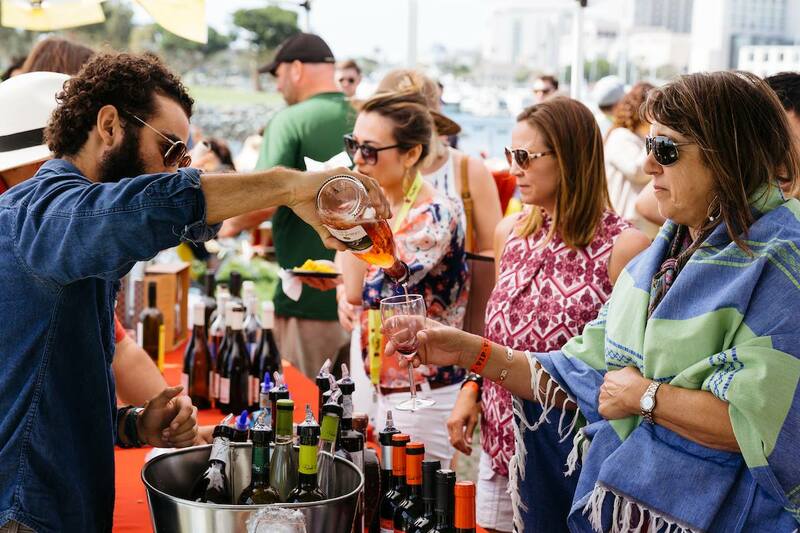 Tickets to the San Diego Paella Wine & Food Festival are currently available online. General Admission passes are $38 and include one paella plate and one sangria, wine or beer. Designated Driver tickets are only $20 and include access to the event and one paella plate. Promo code SDVILLE saves $5 per pass on either GA or DD tickets. Early entry passes Premium GA passes are $55 and include unlimited paella plus three servings of sangria, wine or beer. VIP passes are $89 and include special access to the VIP Chef Lounge (where we hobnobbed with the mayor and Mario Lopez last year), private restrooms, VIP entrance, unlimited food and drink, and access to exclusive food and beverage tastings, as well as a dedicated on-site host team. Promo code SDVILLEVIP saves 10% per Premium GA or VIP ticket. Ticket prices increase as the event nears. Children under 12 years of age enjoy free entrance with a $40 upgrade for VIP. 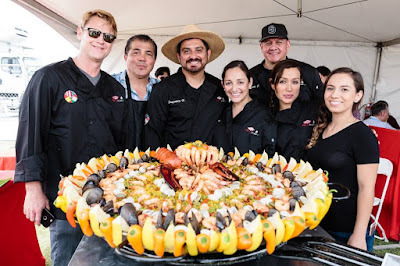 For more information on the San Diego Paella Wine & Food Festival and to purchase passes, visit paellawinefest.com.